Usbasp is an Electronic programmer for Avr family Microcontrollers.It debugs the hexadecimal(.hex) file into Avr Microcontroller.The Usbasp programmer uses a Atmega8 Microcontroller from Avr family.No need any controller in the Atmega8.we have to load firmware in it.But you need an another AVR programmer for one time to load firmware in MCU. Works on multiple platforms such as Linux, Mac and Windows are tested. No special controllers or Surface mounted devices are needed. Programming speed up to 5kBytes/sec. 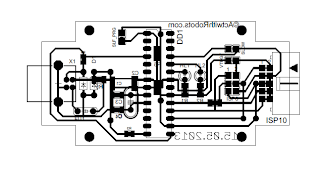 Easily identify Programing status and Bus status seen by LED’s. 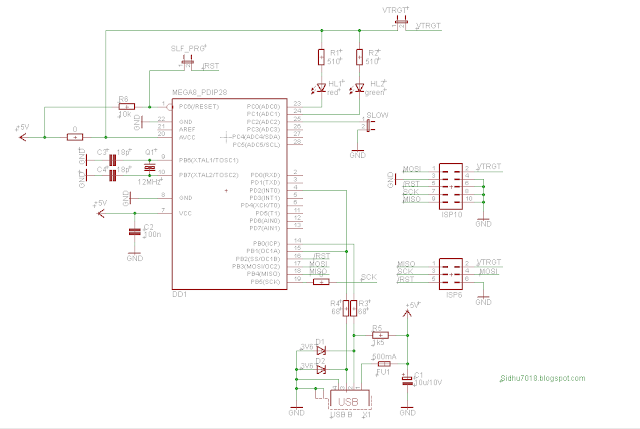 The following packages contains eagle schematic,board files and firmware. Firmware is the program or software when it is burned into microcontroller it enables communication between USBASP programmer and computer . 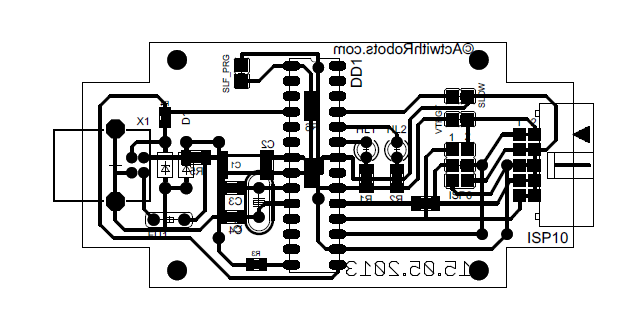 This download package also contains Eagle layout files you can directly print the Design in PCB. Note:- Make sure you burn the right fuse bit configuration along with the firmware into atmega8 microcontroller. Note: Do not change fuse bits. BASCOM-AVR supports USBasp from version 1.11.9.6. Khazama AVR Programmer is a Windows GUI application for USBasp and avrdude. eXtreme Burner – AVR is a Windows GUI Software for USBasp programmers.